Meals on Wheels in Austin has a program to help care for the companion animals of the housebound. Social interaction and feelings of isolation can be challenging for people with disabilities who often spend a great deal of time alone. The emotional stress and physical pain of being disabled can be overwhelming, especially if faced without family or friends. A special animal companion to count on can be a much needed lifeline for those with mobility issues and having a pet to talk to and care for can make all the difference. Pets are there when others simply cannot be, and the benefit of having a furry friend to hold and touch is both comforting and therapeutic for those who struggle daily with the challenges of disabilities. PALS – Pet care assistance for the Disabled in Austin. Pet ownership is not easy for the disabled. Animal companions need food, walks, grooming and occasional boarding along with trips to the veterinarian. Pet ownership is not easy for the disabled. Animal companions need food, walks, grooming and occasional boarding along with trips to the veterinarian. These tasks can be highly challenging to individuals who a housebound. 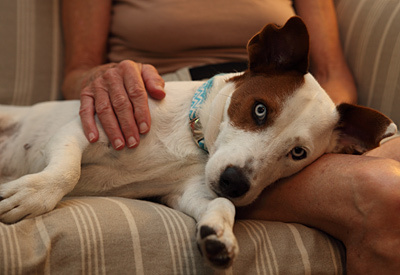 Finding someone reliable to help care for a dog or cat and concern for the well-being of a loved pet only adds to the daily stress of dealing with a disability. PALS (Pets Assisting the Lives of Seniors) is a special program created by Meals-On-Wheels of Central Texas to serve seniors and the disabled by delivering pet food and providing transportation for basic veterinary services to the mobility challenged. PALS delivers pet food and other supplies every second Saturday of the month to those with four legged friends in need. PALS can also supply collars, leashes, bedding, toys, and scratching posts when available. Pet food is delivered once a month, but pet owners may request what they need. PALS also provides assistance when an animal needs veterinary services. They will take the pet to regular vet appointments, spay/neuter surgery and they will drive the companion animal in for its annual vaccinations. Animals are transported in crates or carriers and advance notice is required. PALS will also pick up the pet and return it to its home after an appointment. This service is made possible though the help of the Texas Veterinary Medical Association and Emancipet. 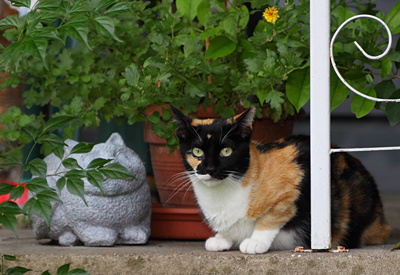 Pets who belong to disabled individuals often suffer from lack of exercise or socialization. To help address this issue PALS initiated a program where volunteers are scheduled to come by weekly (or more often) to walk dogs. Families often volunteer together to perform this community service as a way of bonding and teaching children how to care for animals and those less fortunate. PALS always welcomes donations in the form of money or supplies. Volunteers may offer their services by contacting the PALS Coordinator at pals@mealsonwheelsandmore.org or by calling 512-476-6325. If you wish to receive meals or pet services please call the main number at 512-476-6325 and ask for “Intake”. There is also an online Client Interest Form. The Fair Housing Amendments Act along with the Americans with Disabilities Act protects the right of people with disabilities to keep emotional support animals, even when a landlord’s policy prohibits pets. The Pet Food Bank of Austin & Travis County also can supply food for loved pets in need. Applying for Social Security or Long Term Disability benefits can be a confusing process. Most initial Social Security claims are denied and Long Term Disability Insurance providers are notorious for denying legitimate claims. If you’re struggling because you don’t know where to start, or if you feel like giving up because your claim has been denied, we are here to help. The attorneys at Bemis, Roach and Reed have experience navigating the complexities of Social Security and fighting insurance companies. We also understand that most applicants are not in an ideal situation financially. If you use the services of Bemis, Roach and Reed, you don’t have to worry about paying for representation and then losing your claim. The only fees we collect are a percentage of the back benefits you receive. This means you are not expected to pay upfront and you are not expected to pay if we cannot win your claim. Call us today for a free consultation. Call 512-454-4000 and get help NOW.